Uy! This is my new discovery just awhile ago... 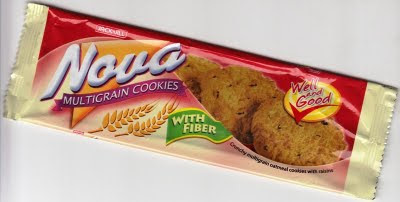 The store beside our shop owned by my SIL carry this new product from Nova. She gave me packs of it :) It tasted so good and best thing is that it has fiber ...and it is very cheap for just P 10.00.
interesting. i love their bbq chips! naligaw ako dito because i was searching for the exact address of nelias in tinajeros and i'm glad i found your blog.